Illustrations are an important part of a land survey. A land survey encompasses not just a description of the plat in question, but oftentimes a map as well. If you are resurveying the land at the time of transfer, you may find a map on file with the local governing authority, or the homeowner may have a copy. While a written description of a piece of land is useful — and in fact, necessary — in a survey, a map serves an important purpose. Many surveys start out with a series of letters and numbers denoting how to find the parcel and what its boundaries are. The letters sometimes refer to directions (N, S, E, W) or in the case of the Public Lands Survey System, township and range. Numbers are also used, and these can denote the particular parcel, how large it is, how far the border stretches in a particular direction, and more. 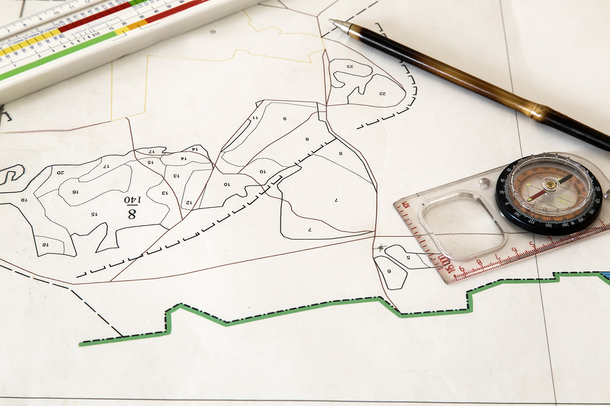 A well-written description should allow subsequent surveyors to easily mark out the plot of land. But that’s not always the way it is. Some previous surveys have been done incorrectly. Sometimes borders are in dispute. And with the imprecise metes and bounds system, borders can literally move or disappear. These are all reasons maps are helpful parts of a land survey. How Do Illustrations Add to a Land Survey? If a metes and bounds survey uses a building as a boundary marker and the building is subsequently torn down, it can be difficult to determine exactly where the line is. An illustration should show the perimeter of the plot, including where the building is, and it should say precisely how long each property line is. Thus, if the physical marker is gone, the map should direct a land surveyor to where it was. Further, an illustration is an important visual tool. No matter how well anyone describes anything, an accompanying picture or illustration always helps. It brings a deeper understanding because it delivers the information in a different format. As the saying goes, a picture is worth a thousand words. In the case of land surveying, having both the picture and the words is better. When you are drawing boundary lines between two landowners, you want to provide the clearest, most precise report possible that leaves the fewest questions unanswered. As a land surveyor, you may come across crudely drawn maps from the 1800s, or you may find computer-generated, color-coded, 3-D maps made more recently. Aerial photographs may be part of a survey as well; however, ordinary real estate land surveys generally don’t include these. 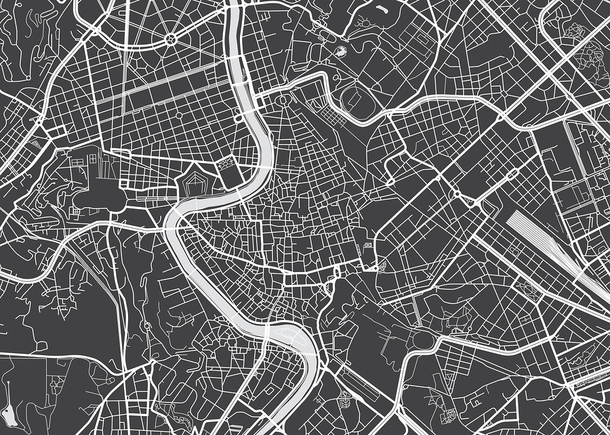 Although technology today allows maps to be more precise and deliver information in a more user-friendly way, any type of map — as long as it’s accurate — helps in a land survey. Aerial maps including physical features like rivers can help pinpoint plot location. This is true not just for surveyors, but for laypeople as well. Most people who are not land surveyors or engineers would have difficulty deciphering a written land survey. A map is easier to understand. Anyone can immediately ascertain the size and shape of the land and usually its location relative to landmarks such as roads or rivers, or other parcels. Coordinates, not usually easy for laypeople to decode, help to pinpoint the parcel using lines of latitude and longitude. But not all states use the same coordinate system. Further, homeowners and nonprofessionals become understandably confused when they learn these coordinates are not the same as GPS coordinates. Land surveying is a technical and exacting job, and the more information included, the more accurate the survey. A survey done on a simple real estate transfer of a quarter of an acre in a suburban development might not require the same depth as a larger project. Thus, the type of firm you work for may dictate which skills you use more frequently. Stay on top of all developments in land surveying and keep all of your skills sharp with PDH online courses for land surveyors.